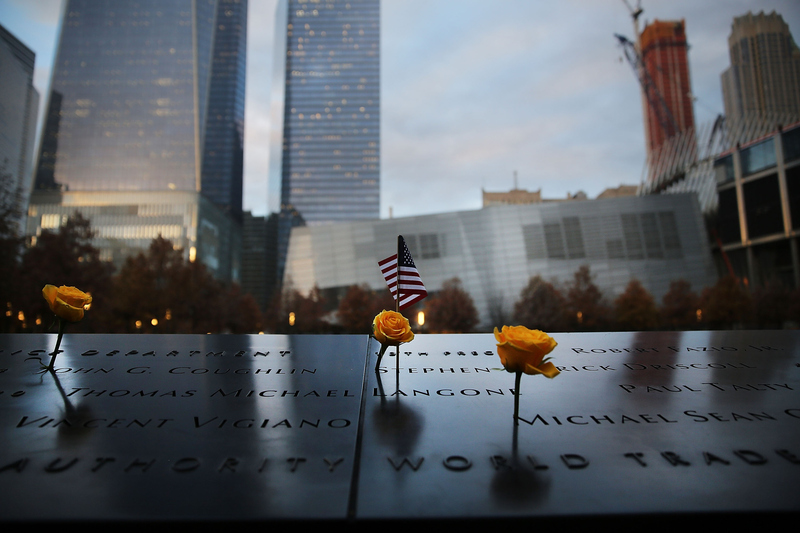 Sept. 11, 2001 was a day that nobody old enough to remember it will ever forget. The millennial generation was still quite young at the time, and many have observed that the attacks on the Twin Towers, Pentagon, and the crash of United Flight 93 were the defining moment for that generation. In the 14 years since, the 9/11 attacks have had a profound impact on American society, culture, and politics, and spurred events that have altered the global political landscape. No matter how many years pass, our memories of 9/11 still carry a great deal of weight and retain the ability to stir strong and powerful emotions. When I spoke with others about their memories about 9/11 on that day, a theme that really stood out for anyone who was my age — in their early teens at the time — was confusion. That was my experience, also. I was very worried and scared, and I didn't understand what was going on, or, more importantly, why it was going on. Because I was so young, I felt that adults were hesitant to tell me the truth, or their version of it, about what was happening, but since I had already been exposed to so much of the information available — like many people, I saw the towers fall live on TV — I needed answers. I learned that many others felt the same when they first learned about the attacks. Here are some of the very moving, honest, and heartbreaking memories that others shared with Bustle regarding their experience of 9/11. "I was in 8th grade and my Social Studies teacher turned on the TV for us to watch a movie when the news started playing footage of the Twin Towers. It was right when the attacks happened, so we hadn't heard about any of it yet; our class thought the footage was the movie we were going to watch." "I was in fifth grade. I remember sitting outside on the playground when we found out. I started looking at the sky because I was worried that the Twin Towers were in my state. I was too young to really understand what happened at that time. I still remember that my mom picked me up from school (which wasn't typical) and gave me a huge hug. I knew I should be worried but wasn't really sure what to be worried about." "I remember not knowing where the Twin Towers were. I was late to school that day, and all the classrooms were dark and lit up by TVs. My teacher eventually made it clear that the attacks happened in New York City, so I immediately called my dad to make sure our family in New York was safe." "I most remember being confused and scared because my middle school teachers didn't address it all while it was happening. It wasn't until my last class of the day that my history teacher explained it all to us." "I was on my way to my first college class, so when I got to school I had no clue what had taken place. One of my classmates was joking about her mom 'freaking out' over some plane crash. Then our teacher turned on the news and we got really quiet, really quickly." "My most vivid memory of 9/11 is coming home from school, and seeing that it was being covered simultaneously on every channel. At the time, I had no way to contextualize what had happened. Columbine was still fresh in my mind, and I at first regarded the event as a tragedy on that scope. It wasn't until a few days (of wall to wall coverage) later that I got the sense that there was a fundamental difference of magnitude. At the time, I was heavily exposed to a lot of Conservative talk radio. In a single chorus, they quickly blamed "Muslim terrorists" and their hatred for our American Way of Life. Even then, the concept seemed a poor and incomplete (at best) explanation." "My main memory is having my sixth-grade class all crowded into a classroom in my Long Island school and told there was 'a plane crash in the city' and that we shouldn't be worried about anyone dying, but parents who commute to NYC for work might be delayed in getting home." "Nobody at school gave us any information until the end of the school day, and even then I still didn't understand, I thought there had been an accident. I didn't understand what happened until my mom told me later, then I remember being really confused about why anyone would do that on purpose. My mom had us watch Spongebob to keep us distracted from the news." "When 9/11 happened I was enlisted in the Navy. We were in the barracks that morning and there was a big commotion in the lounge. When I went in there to see what was going on, it was on the TV, and we saw the towers fall live and the one thing in my mind was, 'We're going to war,'"
"All I really remember was asking my first grade teacher why someone would kill themselves to kill other people. I didn't understand how someone could do that." "My dad and I were supposed to leave early for school to get doughnuts together that day. I remember my dad was glued to the TV and I didn't understand why we couldn't leave the house early. But then when I got to school everyone was just staring at the television and it hit me that something big had happened." "I was in eighth grade English class when we found out that the WTC had been hit. Another teacher rushed into the classroom and turned on a radio. As we listened to the news report, I thought it was a strange coincidence that I had recently watched the movie Air Force One, why that stands out now I have no idea. I remember being concerned about family in NYC. I remember teachers trying to quiet conversation and divert attention from what was going on. And I remember watching the news for at least the next few days." "The first thing I thought was, 'Is there going to be a war like in the movies?'"